Drain and sewer lines carry waste away from your home, and are vital to the health of your home. 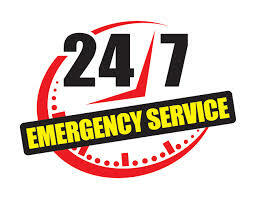 When sewer lines become clogged and back up sewage into your home it can be very hazardous. The causes of a stoppage include hair, grease, tree roots, and many other sources. Sewage can back up into your house through the toilets, showers and sinks. Broken pipes can happen for a variety of reasons. 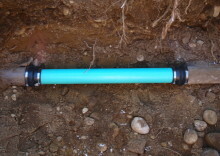 When pipes and sewer lines become broken it can cause environmental problems. These pipes are often broken by tree roots that have grown to large or from old age. 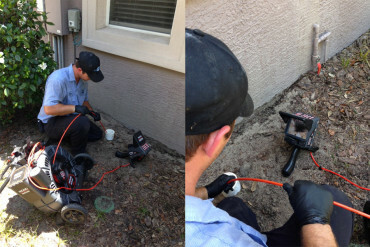 Root intrusion is one of the main problems that can cause your pipes to become clogged, and back up sewage into your home. 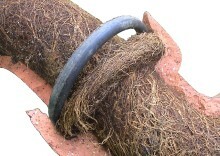 These tree roots grow through and crack sewer lines causing drainage issues.This can block or even destroy the pipes. Video cameras allow for a visual inspection of sewer lines and other pipes that are used in commercial and residential plumbing. A real-time video image transmission allows the technician to determine the condition of the inside of the pipe and if there are any existing or potential problems. Common problems consist of root intrusions, grease buildup, leaks, drain line backups, slow drains, clogs, and obstructions. Once an issue is found, radio transmitters on the camera pinpoint the exact physical location so that the technician can accurately diagnose and solve any concerns. 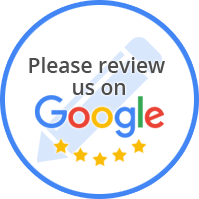 Blue Sky Plumbing uses state of the art video cameras for inspection so your problems will be resolved quickly and cost effectively. 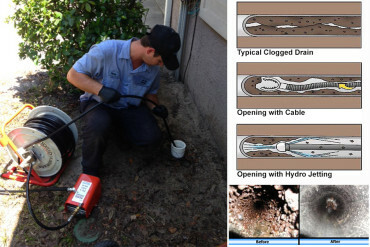 Hydro Jetting is a very effective method of cleaning sewer lines and pipes by using high pressure streams of water to Roto Rooter out build up, paper products, waste, hair, roots, sludge, soap, grease, sediment blockages, and other debris. The Roto Rooter service scrubs the line flushing debris away and restoring drain lines to their full, free-flowing capacity – all without the use of harmful chemicals. Blue Sky Plumbing uses Roto Rooter equipment that can deliver up to 3000 psi actual working pressure and cleans lines from 2-10 in. We can handle anything from large commercial and industrial applications to the smallest residential need.